This week my basement is turning into a little oasis! I've been starting seeds in my little seed trays on their cozy little heating mat for about three weeks now--maybe three and a half, and the results are astounding. With that little heat mat, the seeds are sprouting like crazy. 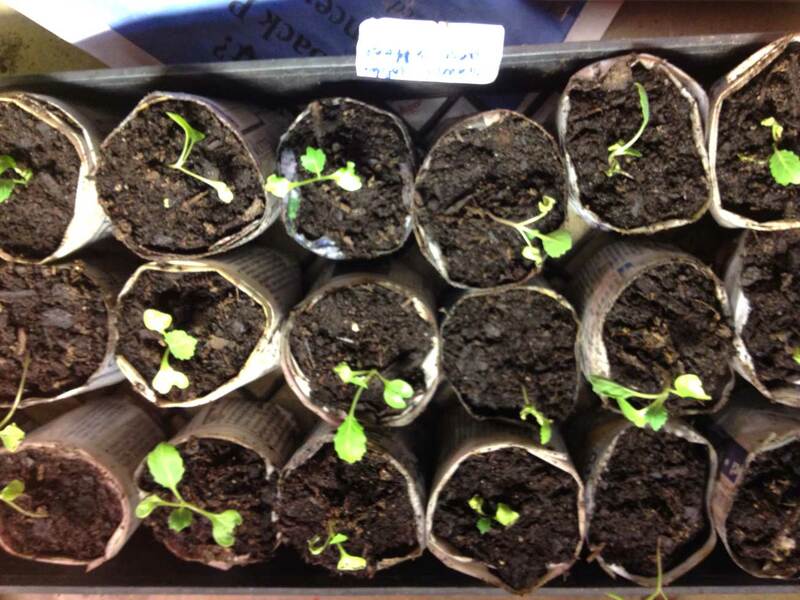 I have then been putting them under lights to grow and green up. 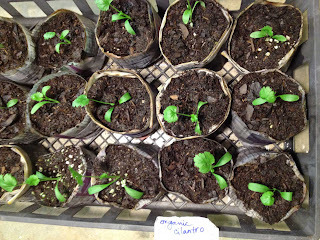 They are actually looking pretty good, especially the organic cilantro above. The organic Golden Acre Cabbages are not looking quite as green but I have gotten to step number three of seed starting: Transferring the seedlings to larger containers. There is no way I have enough containers so I have taken the hint I learned at my seed starting class in January from Mike Cunningham at Country Garden Farms. I am making little "pots" from newspaper and tape and transferring my seedlings into them. This is making my seeds very happy. I still am watering and misting them, as needed and I am keeping them under lights, but they were just not doing as well in the original containers after a couple of weeks. The pots are easy to make. I rip a section of newspaper pages, vertically into three strips, then take two layers of newspaper and wrap them around a "mould," in my case, a small paint can. 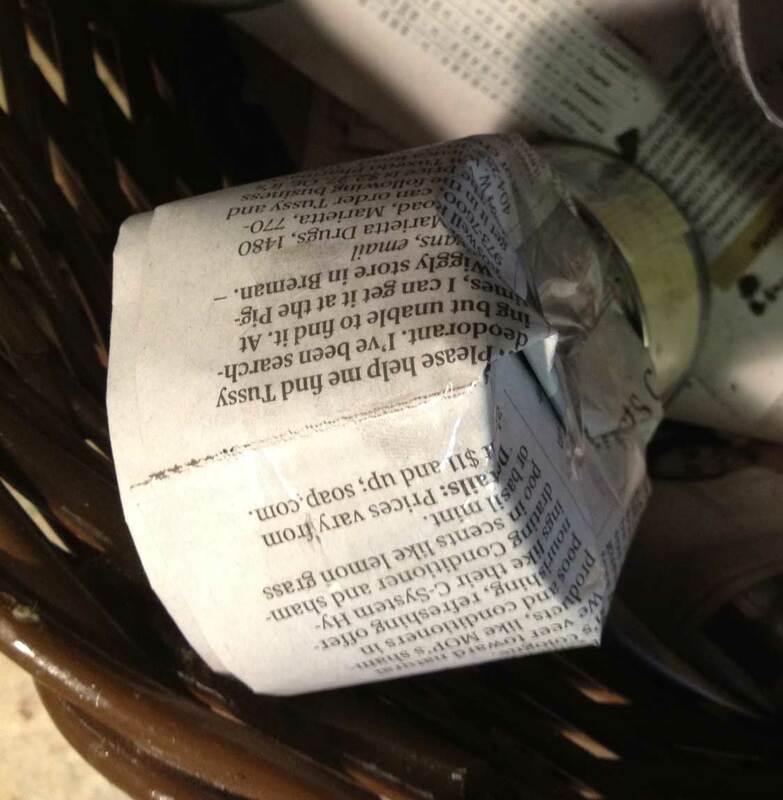 I tape the side and the fold in the bottom and tape the bottom and I have formed a newspaper pot. All I need to do then is fill them with potting mix and insert the plant. It is working quite well. 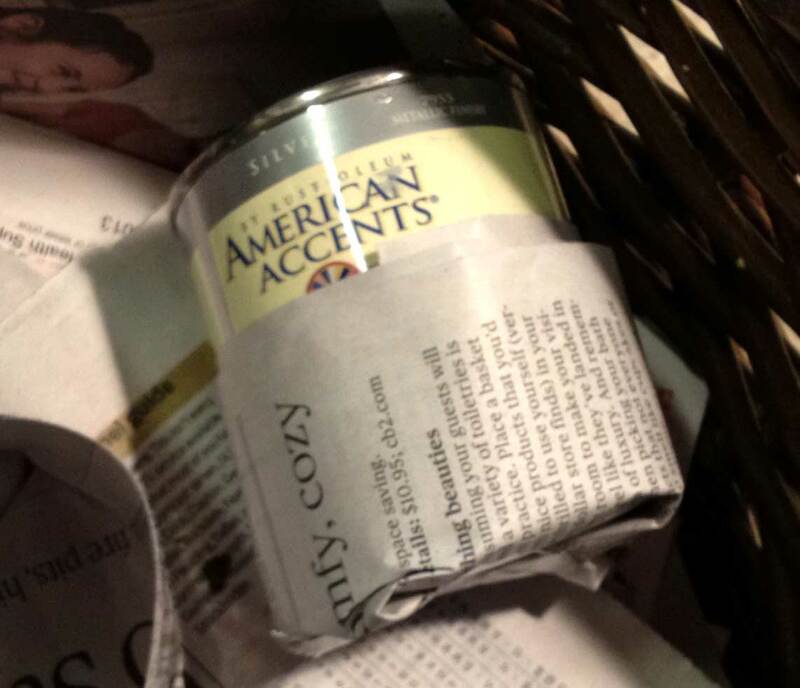 I was concerned that the newspaper wouldn't hold together after spritzing and watering, but they are holding up really well. 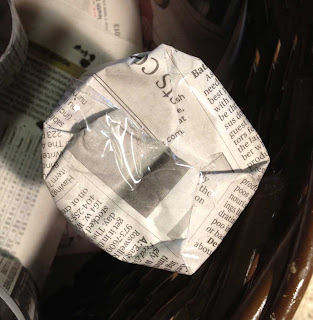 When the weather is good enough, I will take them to the garden and dig a hole, through in some fertilizer, take off the tape (and maybe the bottom of the little pots) and plant them in the garden. 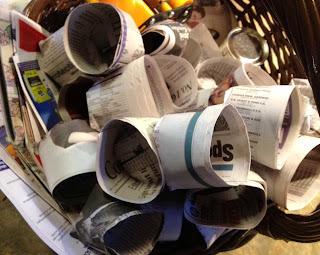 They will need a good watering but the newspaper will just disintegrate and I will have cheaper seedlings that I feel very good about--not to mention that they will be organic! So far I have cilantro, cabbage, lavender, chamomile, dill, allysum, onions and I am seeding tomatoes and peppers. I really need to go and water my little plants. Just hope I can keep them going until we have spring weather. Keeping up with the plants is now the chore.